In an interaction with People Matters, Dr. Soon Joo Gog, Chief Futurist, Chief Research Officer at SkillsFuture SG talked about the changing skilling landscape and shared some impactful training initiatives being led in Singapore by the government. To be better prepared for the rapidly transforming business environment and to lead the innovations that disrupt the world of work, Singapore witnessed a skilling movement named SkillsFuture in 2014. Realizing the need of re-skilling and up-skilling, SkillsFuture was launched to better position Singapore for this constant change with an emphasis on lifelong learning and skills mastery. Since then it has been supporting many and has been preparing them for the emerging skills through various programs. “It is an economic strategy as it will help Singapore to build a future based on skills, and supports its transformation into an advanced economy. 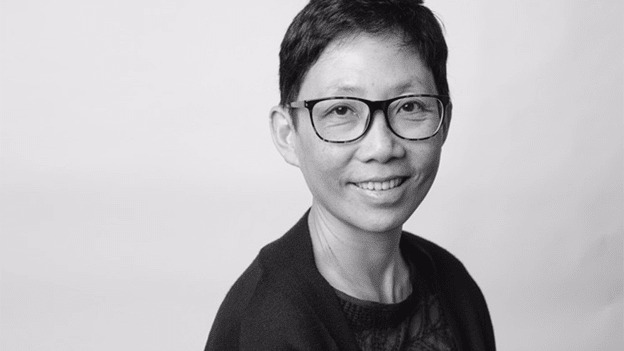 As a social strategy, it aims to equip Singaporeans with the skills needed to stay relevant and to develop their fullest potential through a variety of pathways throughout life,” she adds. Through industry-relevant training programs and other initiatives, the Government of Singapore has taken the responsibility to develop a strong and sustainable skills ecosystem. In an interaction with People Matters, Dr. Soon Joo Gog talked about the changing skilling landscape and shared some impactful training initiatives. What factors are driving changes in work in the Singapore region? Ever since the first industrial revolution, technology has been changing and would continue to change how work is done. However, in today’s more unpredictable world of work, where all industries are being disrupted by technologies and innovations, jobs will evolve and skills obsolescence will accelerate. Changes are also multi-layered, driven by different digital technologies, such as robotics and artificial intelligence, and innovation in business models. This will increase the complexity and makes the future of work much more uncertain, where job roles may change dramatically. Thus, Singapore’s approach to jobs and skills must also adapt. Re-skilling and up-skilling continually throughout life is imperative to enable our workforce to remain resilient and seize new opportunities. How is Singapore preparing for these current and upcoming changes? To prepare for this constant change with an emphasis on lifelong learning and skills mastery, the SkillsFuture movement was launched in 2014 to better position Singapore. The Government is committed to developing a strong and sustainable skills ecosystem by identifying the gaps and shifts needed in the skills ecosystem, partnering with different stakeholders and providing resources to support the shifts. The skills ecosystem starts with the demand side, which includes looking at what skills are likely to be required in the current and future workplaces. The Singapore Government has worked with tripartite partners to roll out the Industry Transformation Maps (ITMs) across 23 sectors to help companies and Singaporeans in these industries to identify future trends and manage industry disruptions. In line with the ITMs, SkillsFuture Singapore has partnered with various government agencies, employers, industry associations, education and training providers and unions to co-develop the Skills Frameworks. The Skills Frameworks provide information about the industry, occupations/job roles, skills and competencies needed and relevant training programmes in the sector. Individuals can use the Skills Frameworks as a guide to enable them to ascertain the skills that they need to develop or deepen, either in their existing industries or another industry that they want to enter. The Frameworks are also critical for enterprises as they serve as a guide to enable employers to identify emerging job roles in their industry as they transform their businesses, and provide a training guide for employers to equip their workforce with the right skill sets. To help Singaporeans attain these priorities and emerging skills sets, we introduced the SkillsFuture Series last year. The SkillsFuture Series is a curated list of short, industry-relevant training programs that focus on eight emerging and priority skills that are crucial to Singapore’s future economic needs. It aims to equip working adults with specific skills sets to meet changing job demands in the eight priority and emerging areas, enabling them to stay relevant and competitive for the future. These eight areas include Cybersecurity, Data Analytics, Entrepreneurship, Finance, Tech-Enabled Services, Digital Media, Advanced Manufacturing, and Urban Solutions. Further, the SkillsFuture for Digital Workplace was also introduced to enable individuals to build digital confidence and be equipped with the right mindset and foundational skills to embrace technological changes to the workplace and to take advantage of new opportunities in the future economy. We have also adopted a three-tier approach to reach out and support different segments of the Singapore population. For individuals who have heard of SkillsFuture but are unsure of the next step, they can tap on the SkillsFuture Advice, which is run in partnership with the Community Development Councils. Through the SkillsFuture Advice, Singaporeans can better understand how they can benefit from SkillsFuture initiatives. Can you talk more about the SkillsFuture Series and the impact it has created? Since the launch of SkillsFuture we have started to see some shift in the mindsets of employers and individuals. From 2015 to 2017, the total training hours for adult learners increased by 55 percent from 26.5 Mn to 41 Mn, and the training participation rate for the resident labor force increased from 35 percent to 48 percent. The SkillsFuture Series, in particular, saw the participation of 11,000 individuals as of 30 May 2018 and over 12,000 Singaporeans have benefitted from the SkillsFuture for Digital Workplace programme as of 30 June 2018. What are some skilling challenges that SkillsFuture Singapore has identified and is currently dealing with? For individuals, the challenge is that most Singaporeans tend to rely on their employers for training opportunities, which is a traditional mode of thinking. Individuals need to realize that learning and training do not end once they finished school, and they cannot rely solely on employers to chart out a training roadmap for them. Instead, they need to take ownership of their own skills development based on their strengths and interests. For employers, the challenge is to convince employers to move away from a “plug-and-play” approach towards manpower and skills, especially if they are at the cutting-edge of industry development. In areas such as AI, data analytics, robotics and cyber-security, there is a global manpower shortage. So, even if employers are prepared to pay a premium and poach talent, they will struggle to do so. Employers, therefore, need to shift to a ‘build and develop’ model.